Although currently Warhammer 40,000 is Games Workshop’s flagship line, until the late 1990s the Warhammer fantasy world was king. 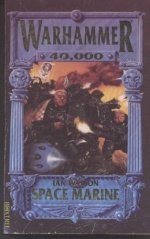 Thus, whilst Space Marine novels vomit forth from the gaping maw of Games Workshop’s in-house publishing arm, the Black Library, there was once a time when Warhammer 40,000 novels were a comparative rarity. In the period between 1989 and 1995, when Boxtree published Warhammer and Warhammer 40,000 fiction under licence, the fantasy line saw the release of nine novels in three different series by three different authors, as well as three short story compilations. 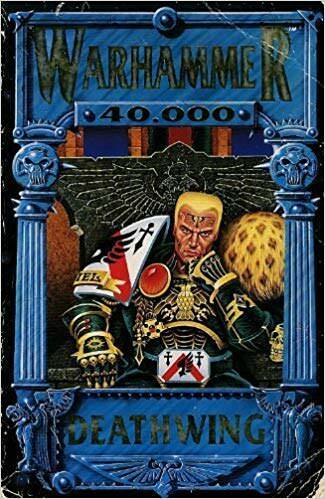 By comparison, Warhammer 40,000 enjoyed but a single short story collection, Deathwing, and four novels. All of the novels were written by Ian Watson. One of them was Space Marine, the story of a young man’s sexual awakening. The other tales formed an unnamed series which the Black Library, when it decided to reprint them, referred to as the Inquisition War trilogy. So, as with Space Marine the novels deal with a version of the setting that’s quite different than what we’re used to. And just like with Space Marine, even when you take that into account the books still read like Watson was on crack when he wrote them. As I mentioned in my review of Let the Galaxy Burn, the Black Library uses short stories as a means of acquiring and cultivating new writing talent. In the pre-Black Library line of Games Workshop tie-in fiction, however, a different approach was used: rather than primarily acquiring new talent and cultivating it, the editors used their connections to convince established authors to write for the line. As a result Deathwing, the only short story collection from that era, is a very different beast from Let the Galaxy Burn; whereas the stories in the latter derive mainly from Inferno!, the Black Library’s testing ground for their budding talent, Deathwing is a collection of stories solicited from a range of writers who were already confident authors at the time. As a result, the stories are more polished than those in Let the Galaxy Burn, and are also significantly more diverse; there’s only one story about Space Marines and one about the Imperial Guard, whereas Let the Galaxy Burn had dozens of stories about both groups because the Black Library uses them as training wheels for new authors before they’re allowed to get too creative. What’s more, Deathwing was published at a time when the Warhammer 40,000 setting was a bit more fluid and undefined than it is today, giving the writers far more freedom to take the franchise in strange new directions than their present counterparts have. Unlike the Warhammer Fantasy world, the universe of Warhammer 40,000 has changed radically since its first inception, to the point where entire major intelligent species have been tossed into the memory hole because they no longer fit the atmosphere. There have been many casualties of this slow progression of the mileau from an anything-goes universe where anything that might happen in the pages of 2000 AD might be encountered to a more focused variety of grim far future darkness, and amongst these casaulties is Space Marine, Ian Watson’s 1993 novel. Whereas most of the early Warhammer Fantasy tie-in novels remain in print – even dreck like the Konrad Saga – Space Marine has been allowed to vanish, the stated reason being that it happens to deal with large amounts of material which has been removed from the Warhammer 40,000 canon. Except, I begin to wonder whether there isn’t more to it than that. You see, it isn’t just that Space Marine takes place in a universe which no longer quite resembles the official Warhammer 40,000 setting. Space Marine is also more than a little gay. 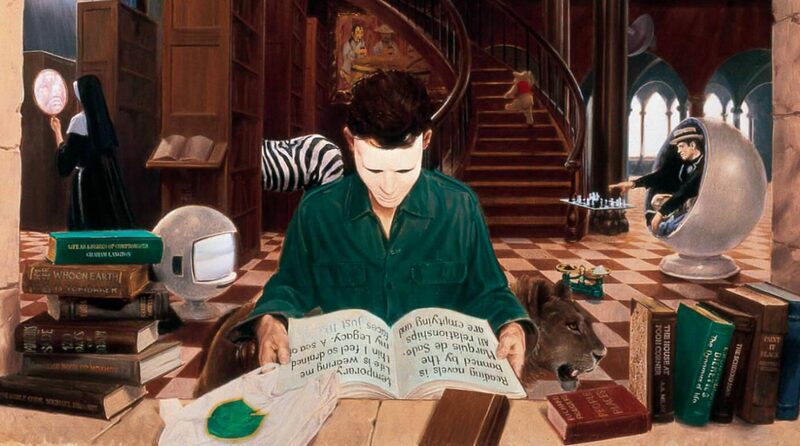 […] the boy’s green eyes gleamed with evident intelligence… and with fierce emnity… and with a kind of fascination, as he weighed the mask in his hand and stared at its former wearer, now revealed. The scum kid seemed about to fit the mask to his own face so as to hide his savage features… or to become, for a few moments, the reflexion of Lexandro who lived such an unimaginable, foreign life.